The name of the January Citrus Tree Studio Kit is called Flea Market Finds. 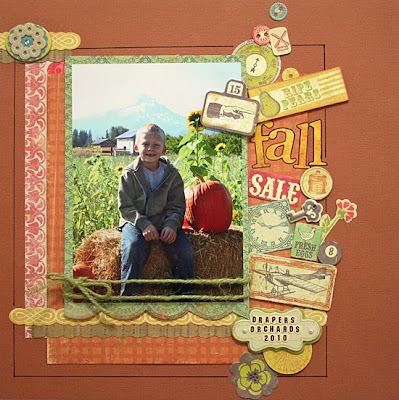 It features the Crate Paper Restoration line as well as some pretty amazing embellishments from Crate Paper, Pink Paislee, and Maya Arts. 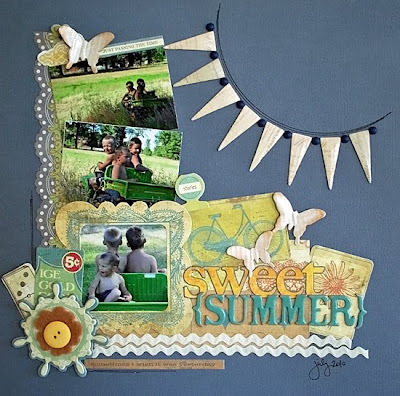 This kit is packed full of gorgeous paper and you also get 30+ corrugated chipboard pieces! Wooohooo! Here are my Design Team Projects for the month. The first is just a sweet little layout of Gabe and his cousins from last summer. I know you've seen these pics many times on my blog but I must say that they are timeless. 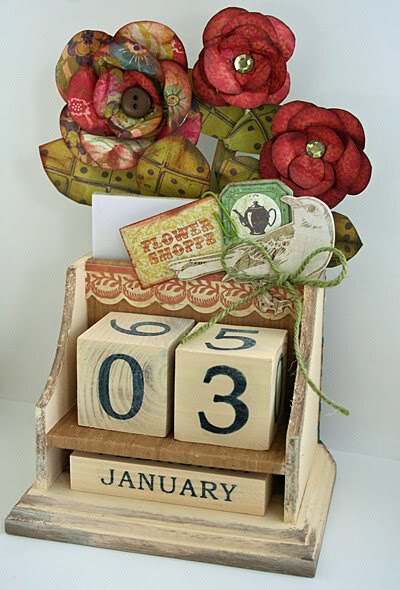 The next project is the little wooden perpetual calendar that Cindy has for sale as the product spotlight. This calendar is fabulous and would make such a great gift...unfortunately, I'm not sure I'm going to part with mine! Ha-Ha. For some reason I seem to be addicted to making these little flowers lately. They are so easy and have such a beautiful dimension to them. Don't you agree? 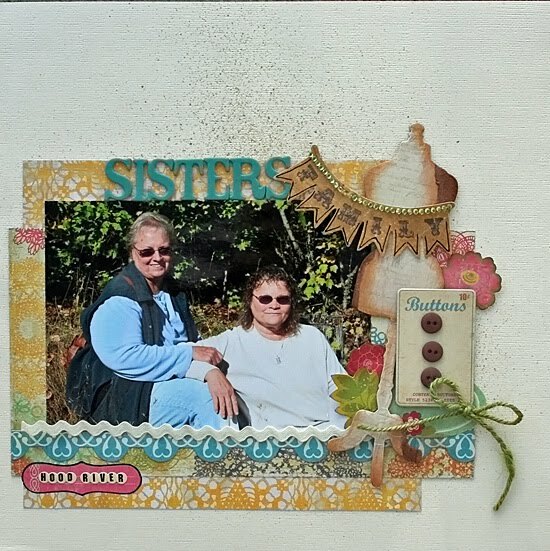 Finally two more layouts. The first is of my mom and aunt taken during our annual trip to Hood River last fall. I just knew the embellishments from this kit would be perfect! Another picture of Gabe from Draper's Orchards. I'm pretty sure I've used this picture before but it's another one that I think is wonderful. Thanks for checking out my projects for the month. If you get a chance stop on by Citrus Tree Studio as the new challengs for the month have been posted! Hey! you got a nice blog here your work are interesting.